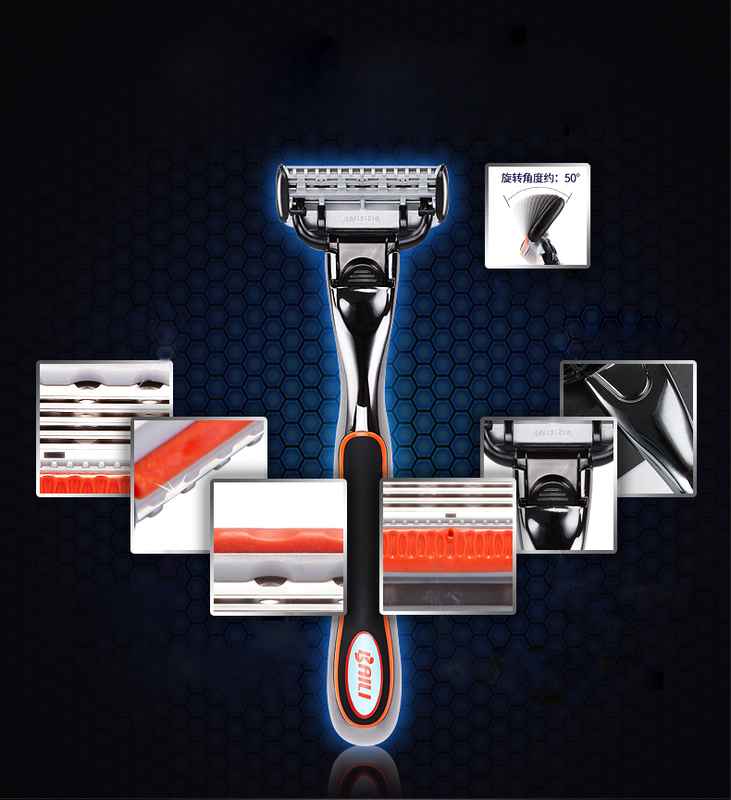 Regal Series 6 (5+1 Trimmer) blade razor keep top 1 selling since came out. You must want to know the reason why people like to buy this razor for everyday shaving. 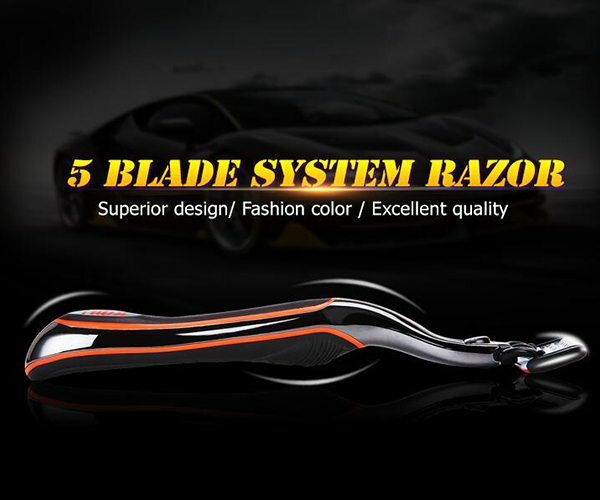 Different people have different answer, now we want to tell you the main specification for this razor. The innovative 6 blade design have spread the pressure to five single blade, which can reduce pressure during shaving and give the users an excellent shaving experience. Every single blade is made of high grade stainless steel, it is very sharp and durable. Clean and wonderful shaving. Lubricating strip contains rich vitamin E and aloe essence, when meet water automatically secrete lubricating fluid. Make you have a smooth and comfortable shaving experience. Strip color will fades after several times using. 6 Blade razor have a pivoting head that users can make a close shaving. In the top of the razor head, there is a extra trimmer blade. It can help you to clean the little hair on sideburns and under nose. Ergonomically designed handle, combines a precision zinc alloy with a soft rubber grip that fits better in your hand, and a nice heavy weight feel providing a fantastic shaving experience with better control. Change the razor cartridge easily with one button.The first step push out the blade, the second step insert a new razor blade. No matter how good quality the razor are, still need a correct store method. In order to keep your razor use in a longer time, please wash with water after use, shake off handle, then keep 6 blade razor in a dry place. Advise change the 6 blade one month or depends on the blade situation. , we would like to partner with your company. Kindly let us know you MOQ and payment method.